Find out all about American roulette and European roulette wheels here: what are the differences between these two games and which one is better to try? If roulette has been a part of your life for quite some time now, you should know that two different kinds exist: American roulette and European roulette, the latter of which is more popular worldwide and also happens to be older than the former. The reason why it is more popular is because European roulette comes with higher odds compared to American roulette despite the fact that there isn't much difference between them. If you don't know about European roulette, read on. In order to compare these two versions, you should know about American roulette first. 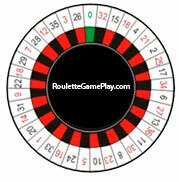 An American roulette wheel has 38 numbers on it: the numbers 1 to 36 and 00 and 0. The zeros come in green squares, but the other numbers come in alternating red and black. Additionally, the numbers are divided evenly between the odd and the even. Now, the two zeros happen to give the casino an edge of around 6% because payouts are done like there isn't an extra zero there. This means that straight bets get paid out 37:1. Conversely, a European roulette wheel merely has one zero on it. This actually makes quite a big difference between American and European roulette when it comes to the casino edge. With just one zero, the casino has a modest edge of around 2%. 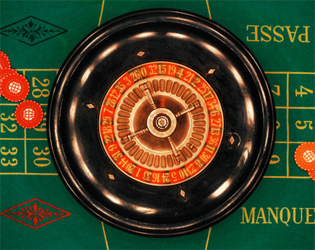 This essentially means that European roulette doubles any chances of the player winning. 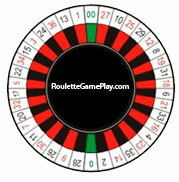 Plus, European roulette has various playing options, as well, which increase those chances even more. One special option of betting in European roulette, as an example, would be En Prison. Here, players can get their bet back if they get a zero, provided a bet was made on an outside bet, as well. With this rule, that bet stays there until the following spin and gets specially marked. After the following spin, two events could happen. A bet could win and the player can get his money again, and a bet could lose and the casino gets the bet. Essentially, this gives players an additional chance of winning his bet back. Tables with rule only have a 1.5% house edge. Those are the main differences between European and American roulette. Now, you might be wondering whether you can find European roulette in America. Well, this version can be hard to find in traditional casinos in America since they don't approve of improving your odds. However, if you are an American who wants to play the European version of roulette, you can visit tons of casinos online that have such tables on offer, so you can enjoy improved chances of winning even while living in America. Have fun!